With a new album Complete Strangers pointing towards a change in artistic direction, Getintothis’ Paul Higham looks forward to hearing how it all comes together at Leaf in October. The psych-folk project of Andy Cabic, Vetiver, are set to grace Liverpool with a date in Leaf on 17 October. Cabic is set to tour in support of forthcoming album Complete Stangers, a title seemingly at odds with his collaborative inclinations that have borne such rich rewards his on earlier recorded outings. Vetiver‘s self-titled debut album emerged from a fervent scene and featured pre-eminent luminaries of the nascent freak-folk scene as Devendra Banhart and Joanna Newsom. While his esteemed collaborators have gone on to achieve broader critical and commercial success, Vetiver has remained something of an enigma. Eschewing the finger-picking intricacies and affectations of the scene of which he was once considered so integral, Cabic‘s music evolved into dreamy, laconic soundscapes evoking the spirit of the blissed-out Laurel Canyon. 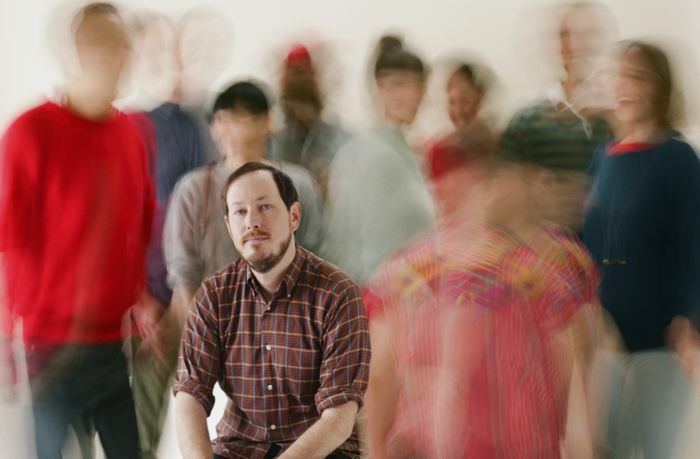 Vetiver‘s 2008 album Things Of The Past was composed entirely of covers and reveals something of Cabic‘s influences. Featuring interpretations of the works of Michael Hurley, Townes Van Zandt and even Hawkwind, the album affirms Cabic as committed devotee of 1960s and 1970s folk and psychedlelia. Subsequent albums The Errant Charm and Tight Knit cemented Vetiver‘s reputation as masterful exponents of hazy Americana without ever setting the world alight. Although technically accomplished and solid in their musicianship the albums perhaps felt a little safe and a tad unadventurous. Yet there is sometimes a reassurance to be had from knowing exactly what to expect from an album, the equivalent of an aural comfort blanket. New recording, Complete Strangers marks something of a break with the past and as Cabic himself acknowledges the album “comes from different places, different times“. The record has a different emphasis as synths and keyboards are given equal prominence to the more familiar acoustic guitars. In its embrace of different and contrasting styles it is not always successful but the promise offered by increased diversity will make the forthcoming gig a little more interesting. With Cabic himself confessing that he is “still figuring the album out” it promises to be an interesting gig as the artist tries to make sense of a subtle yet significant change in artistic direction. Vetiver play Leaf on 17 October. Tickets available here.